4 billion dollars. It's almost twice as much as it cost to develop the most expensive plane in history. It's more than the cost of the new World Trade Center, the tallest building in North America. It's also the projected cost of NYC's newest train station. 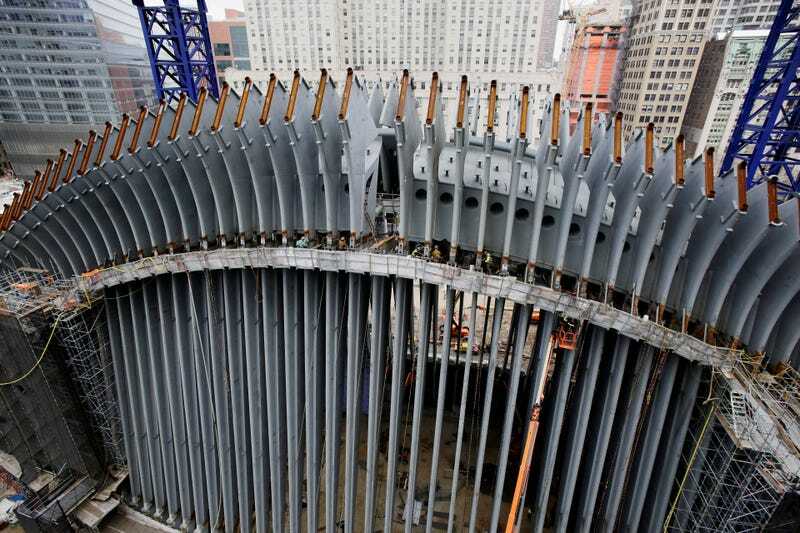 In an absolutely astounding New York Times article this week, we get a glimpse of the seemingly endless array of fumbles, mistakes, dilemmas, and general incompetence that led to the ballooning budget of the World Trade Center Transportation Hub. Underway for more than a decade, the project is an exemplary case study in how not to run a city project. It begins with the hiring of a famous and famously demanding architect, Santiago Calatrava, who has been sued multiple times for problems with his lovely but poorly-constructed buildings. It continues with the officials who enabled the ballooning cost of the project for political reasons, and then rushed the project along for equally self-serving reasons, requiring extraordinary measures that drove costs even higher—the 600-foot corridor that connects to the hub cost $225 million alone. Poor contract decisions, bad leadership, and high turnaround plagued the project every step of the way.